Only a few members know that golf was played at the club on an eight-hole, 1,300 yard course in 1899 when the game was in its infancy in this country. 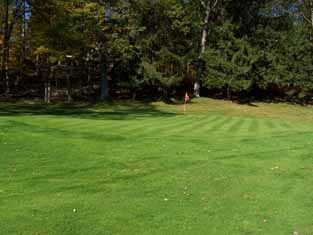 According to the USGA it is the second oldest continuously operating golf course in Pennsylvania. The original course was laid out around the clubhouse and after a few near misses of the building and its guests it was rebuilt in the summer of 1915 and formed the basis of the one which is used today. 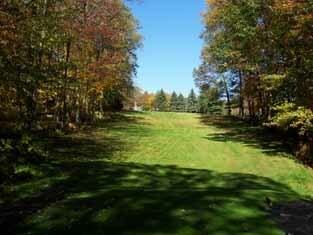 The current executive course is a nine-hole, 2,493 yard par 32 men/par 38 women with no sand and no water. 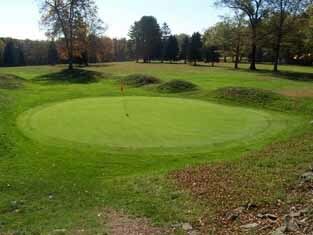 Numerous bunkers surround many of the small greens making each approach shot on the tight fairways difficult. 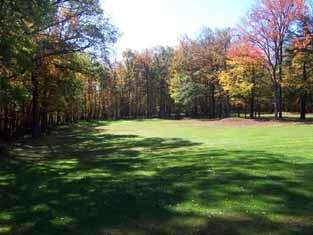 Several large oak trees and northern pines make the course very challenging for even the best golfer. Of course, the best part is no tee times and a round of golf can be completed in under two hours leaving plenty of time for other activities! The Club also has a corporate membership with an 18 hole championship, par 72 golf club that is located only 5 minutes away. It is nationally recognized by GOLF Magazine as "one of the finest courses in America" and rated “4.5 Stars” by Golf Digest’s Best Places to Play.